Glaucoma is a common and easily misdiagnosed condition, and poor standards of care can put both patients and doctors at risk. Prof. Peter Shah has been treating glaucoma patients for over 25 years and shares some of the lessons he has learned. The glaucomas are a group of diseases characterised by specific patterns of optic disc damage (cupping) and vision loss (visual field defects), the major modifiable risk factor for which is elevated/suboptimal intraocular pressure (IOP). There is a high prevalence of severe visual loss and blindness if glaucoma is not adequately treated, and it remains a major cause of blindness in both developing and developed countries. There is a high prevalence of glaucoma in the population, but there are also sight-threatening and life-threatening diseases that can mimic the condition, such as tumours compressing the anterior visual pathway. Uncontrolled glaucoma can damage vision irreversibly within short clinical time-frames, and the surgery needed to treat it is technically challenging and resource intensive. Glaucoma clinics are very busy, with a high degree of patient heterogeneity in glaucoma type and severity, and many units across the UK have long-standing significant glaucoma capacity problems. Glaucoma care occurs across disparate professional and geographical boundaries and therefore good communication systems are essential. This article aims to distil some of the lessons learned from looking after patients with glaucoma over the last 25 years. The following points are designed to give clinicians a comprehensive overview of the areas that are important in a glaucoma service - these are the areas which, if compromised, can affect patient safety and expose the clinician to adverse outcomes, complaints and litigation. Good clinical care protects patients and clinicians and rests on the foundation of a comprehensive clinical history and examination, supported by appropriate investigations. If the assessment is incomplete, then there is a high risk of missing information that can result in an incorrect diagnosis, suboptimal management decisions, clinical harm or litigation. Ensure that patient with high IOPs and advanced optic disc cupping are seen rapidly. It is important to have some emergency clinic capacity for these patients. It is essential to make a correct diagnosis or diagnoses at the outset, but also to have a structured approach to doing so. Use of a standardised proforma for collection of clinical and investigational data can help reduce errors, and acts as a tool to educate new members of the team. In the case of glaucoma, this can also include factors such as communicating with the patient about their fitness to drive, as well as the more clinically-inclined elements. One of the problems in glaucoma is that there is no particular staging system in widespread practice. This remains an area of active research. One system, 'Glauc-Strat-1' (below), has been developed by over 70 leading glaucoma specialists from all over the world and is currently under evaluation in multiple sites across the globe. The system aims to stratify patients with respect to the risk of visual loss and the level of resources needed to manage the case-mix, and uses a red/amber/green system, with red patients being at highest risk of severe visual loss and needing the highest levels of time and resources. The cut-offs used for each boundary (worse eye mean deviation visual field loss in dB) are: Green 0-4 dB / Amber 4-8 dB / Red >8 dB. Patients are assigned plus factors and red flags for features and co-morbidities that increase complexity. 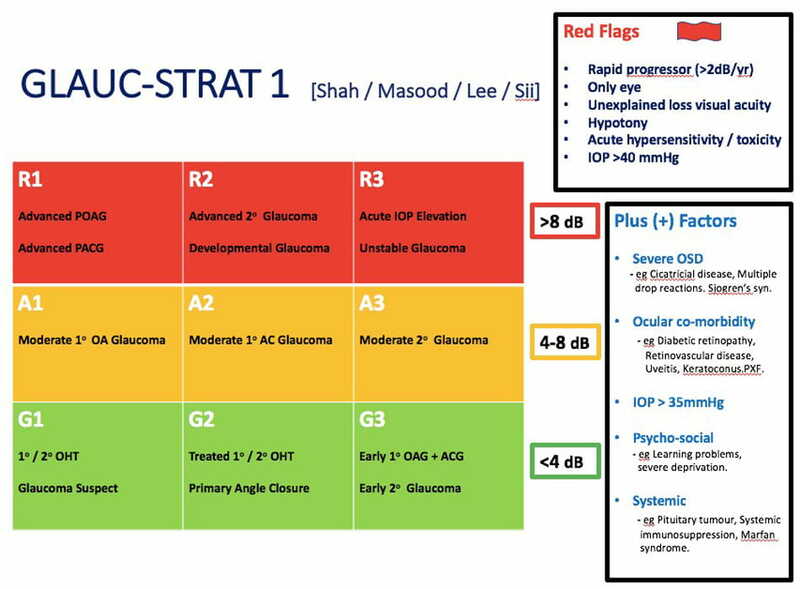 Failure to stratify is the first step to litigation, and the aim of systems such as Glauc-Strat-1 is to help risk stratify these patients, and in turn help doctors avoid medico-legal problems arising from avoidable sight loss. Staging your glaucoma practice, and having an overview of the relative numbers of patients in each category, also underpins the case for adequate resourcing of your service. Some of the more commonly seen features associated with rapid disease progression are listed below; taking these into account is important in order to make a correct and timely diagnosis and mitigate risks to patients - and by extension, yourself. Young age (eg juvenile open angle glaucoma). Very thin central corneal thickness. developmental angle dysgenesis (eg Axenfeld-Rieger syndrome). There are significant neoplastic and other compressive pathologies that can mimic glaucoma, or indeed co-exist with glaucoma, and a missed or incorrect diagnosis could result in patients coming to harm and a subsequent complaint or claim. neuro-ophthalmic patterns of visual field loss (eg bitemporal loss). Common co-morbidities that occur in glaucoma include wet and dry age-related macular degeneration, retinal detachment, retinal venous occlusion and uveitis. It is important that a full ophthalmic assessment is performed at each visit for these conditions; as with the conditions listed in the previous point, a missed diagnosis can be damaging to the clinician as well as the patient. It is very important to set triggers for identifying patients at risk of rapid glaucoma progression. Examples could include an unexplained reduction of visual acuity of two lines or more since the last clinic visit, or a rapid reduction in mean deviation of visual fields (eg 2 dB per year). Poor quality IOP and visual field data can lead to incorrect clinical decision-making and result in disease progression being missed. Technical staff should be alert to this risk when dealing with patients who have difficulty in performing reliable visual fields. Ensure that all team members adhere to standard national guidelines for glaucoma follow-up (such as the 2018 NICE guidance). Audit adherence to these standards regularly. Selecting the correct sequence of medical, laser or surgical interventions is often complex and should be guided by best evidence. Set thresholds for laser and surgical intervention and continually re-evaluate them for each individual patient. Second opinions from colleagues can be extremely helpful in difficult cases. It is important to have systems in place to detect ocular surface, intraocular and systemic side-effects of glaucoma medications, which can be potentially sight or life-threatening. Glaucoma surgery is often technically difficult and performed on 'sick' eyes with advanced disease. Sight-threatening complications such as hypotony can mean patients may have to return to the operating theatre within the first 10 days of surgery, and 'failure to rescue' is a common cause of post-operative loss of vision ('wipe-out'). Post-operative areas such as infection, bleeding, hypotony, malignant glaucoma and 'wipe-out' remain a challenge for glaucoma surgeons, and it is worth investing substantial time pre-operatively to anticipate and manage these risks. Complaints and litigation often stem from poor management of complications and poor communication in the early post-operative period. It is particularly important to identify causes of post-operative visual loss and pain and manage them appropriately. Early senior medical input can often help diffuse tension and provide reassurance in difficult situations. Running a glaucoma service is a busy and demanding job. It is essential that you are networked into a range of colleagues who can help you make the best decisions. These might be glaucoma specialists within your hospital and region, colleagues in related ophthalmology disciplines like neuro-ophthalmology, or those in related medical disciplines such as neurology or cardiology. Regional and national glaucoma networks will also prove valuable. Observing colleagues in the operating theatre and clinic environment is a very rich learning experience. I have also found it extremely helpful over the years to invite trusted colleagues to observe me on one of my operating lists and provide feedback. Even if you have completed Glaucoma Fellowship training, it is important to continually ensure that you have the skill-set to run glaucoma clinics and perform glaucoma operations for glaucoma. Continuously benchmark yourself against best-evidence data on outcomes of glaucoma and complex cataract surgery. Restrict yourself to those surgical procedures where you have appropriate training and experience. Consider referral to specialist centres for rare surgical cases (eg repair of cyclodialysis cleft). Regional glaucoma grand rounds can be an excellent forum for discussing complex cases. Second opinions are an excellent source of learning and should be used more frequently. Embrace your 'duty of candour' and make sure that all team members learn from serious untoward incidents and near-misses in a 'no-blame' culture within your unit. Complex glaucoma work is very labour intensive, and surgical cases may need frequent follow up in the post-operative period. Complex new referrals with uncontrolled high-pressure glaucoma and other ocular co-morbidities (eg active panuveitis) can take a significant amount of time and resources to stabilise. Make sure you have the capacity to do this work before taking on such high-risk cases. Keeping up to date is getting increasingly difficult in medicine, so it is important to have a strategy to manage this. In addition to networking with colleagues, I find following organisations and websites very helpful, such as the World Glaucoma Association, the European Glaucoma Association and the American Academy of Ophthalmology (AAO) - ONE network. It is also important to stay informed of current guidance, such as NICE glaucoma guidelines. Complaints and litigation often stem from poor management of complications and poor communication in the early post-operative period. In line with many areas of medicine, glaucoma care has many new surgical technologies on offer, and it is important that clinicians have strong ethical frameworks for adopting potential innovations. Clinicians need a strategy for reviewing health technology assessment (HTA) data and for learning new techniques without exposing patients to unnecessary risk whilst on the surgical learning curve. Each point in the patient journey, from initial referral through investigation and management, can be regarded as a focal node that needs control. Consider the focal step of neuroimaging in patients who are suspicious for a potential tumour compressing the anterior visual pathway; the 'entry' point is the process for effectively ordering the necessary scans with correct protocols, and the 'exit' point is to ensure that the scan result is actioned. Failure to manage the 'entry' and 'exit' points of neuroimaging could lead to missed tumours. This principle can be applied to any point in the patient journey. For example, controlling the 'entry' point onto your surgical waiting list can ensure that measures are in place to prioritise urgency of surgery and ensure that appropriate staffing, equipment and logistical issues are recorded for future safe surgery. It is essential to have adequate visual function technical support - slippage in the timely performance of key investigations (such as visual fields) sets the scene for missing rapid glaucoma progression. Record areas of glaucoma service risk on the local Trust 'risk register', and make sure managers understand that a 'glaucoma coordinator' role is essential to tracking high-risk patients and guaranteeing that patients receive timely care. Work with your management team to confirm they appreciate the administrative and educational time you will need to effectively supervise and ensure tight governance of paramedical team members involved in glaucoma care delivery within your team. Be alert to the pitfalls of suboptimal electronic medical records (EMRs) and the potential for e-Iatrogenesis. Many EMR systems have poor facility for uploading legacy data and this poses serious challenges, but while all clinicians face the same problems in finding the time to record patient data on slow and clunky first-generation EMRs, it is essential to find solutions to these problems. 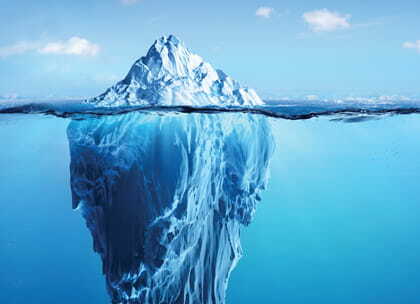 It is very difficult to defend a clinician's decisions if there is insufficient or inadequate documentation, but there is also a significant patient safety aspect at work. 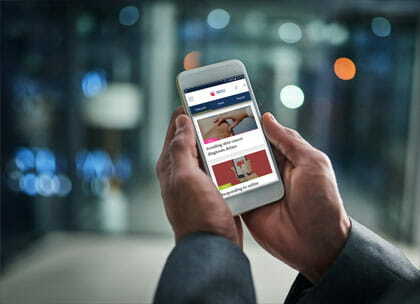 For example, patients may not see the same clinician at consecutive appointments along their treatment pathway, and it is vital that the patient's record is clear and complete enough so that handovers are safe. 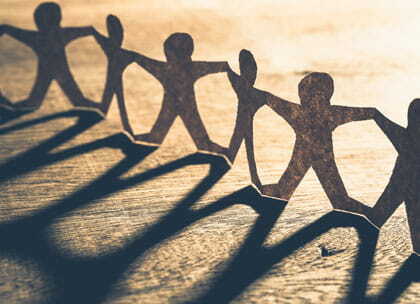 Kindness, empathy and effective communication underpin safe medicine, and clinicians need to devote time to continuously improving communication as medicine gets increasingly busy. An example of a new skill might be to become more effective in using plain English in patient information and copy letters to patients. Investing time and energy in robust consent processes will pay back exponentially during the later surgical journey. Also ensure that you understand and follow local Trust processes relating to the rare events that result in complaints. Make communication two-way by considering how you can develop the level of patient involvement in your unit. Setting up a nurse-led 'glaucoma support team', involving patients in glaucoma service redesign, or using a glaucoma 'POEM' (patient-generated combined clinical outcome/experience measure) are all good examples. Running a glaucoma service is stressful. Make sure that you are in optimal health to run your service and learn about the features of 'burnout', as well as how to recognise it in others. Seek help early if you are struggling, either through your clinical service lead, fellow colleagues or occupational health. The modern glaucoma specialist needs to have a high level of clinical and generic system-management skills, and having gaps in either puts both your patients and yourself at risk. Good systems are essential to avoid adverse events when multi-tasking and working at increasingly high volume under significant time pressure. Above all, avoid clinical isolation and be ever-ready for change in this rapidly evolving healthcare system. The purpose of this article is to help share lessons that I have learned from my own experience. I hope it helps. This article was correct at publication on 14/08/2018. It is intended as general guidance for members only. If you are a member and need specific advice relating to your own circumstances, please contact one of our advisers. Professor Peter Shah is a consultant ophthalmic surgeon at University Hospitals Birmingham NHS Foundation trust, co-director of the Birmingham Institute for Glaucoma Research, visiting professor at UCL and honorary professor of glaucoma at the Centre for Health & Social Care Improvement at the University of Wolverhampton. He is the past-president of the British Ophthalmic Anaesthesia Society, a council member of the Oxford Ophthalmological Congress and a past member of the Education Committee of the Royal College of Ophthalmologists. He also works with the charity Sight for East Africa and is passionate about mentoring. Changes to the tax relief available on pensions could affect many practitioners' future income. Our response to a consultation on sentencing guidelines for manslaughter is just one example of how we campaign on doctors' behalf.